In our brief Munich Layover, we stayed at the 1st Creatif Hotel Elephant near the train station. It was a short walk from there through the medieval Karlstor Gate into the Old Town. Marienplatz square is the center of the Old Town. The New Town Hall faces the square. Figurines will dance in the clock tower glockenspiel at certain times. We waited for them after the clock struck 6pm but unfortunately they only show at 11, 12 and 5pm. We next visited the Hofbrauhaus. Ein mas Radler, bockwurst, meat loaf, homemade potato salad and potato dumplings were enjoyable. 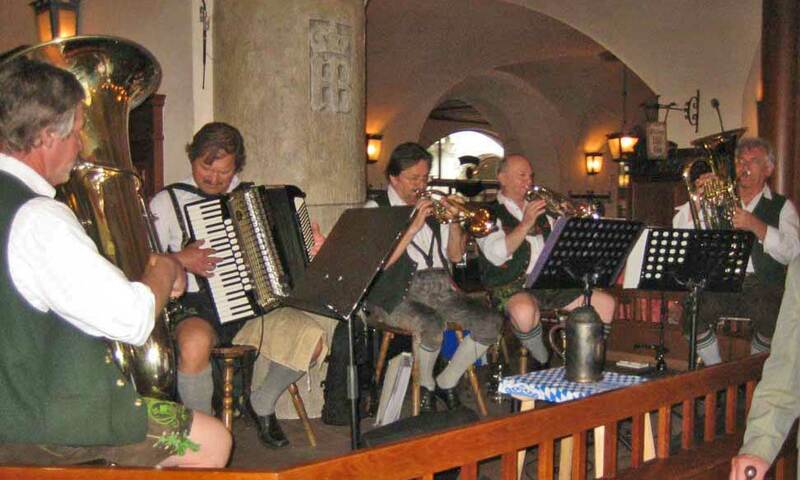 Music isn’t played at the Hofbraushaus between 4pm and 6pm. So, we came back a little later just to hear the Bavarian sounds and see the dancing. 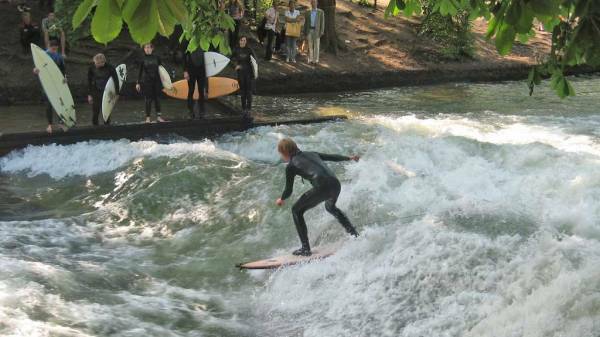 Our last stop was at English Park where we lucked out and found the Eisbach River surfers. Rocks have been placed in the Eisbach River in order to create a natural wave The Eisbach River surfers jump onto their boards from the river bank. Then they surf back and forth across the narrow river. Early in the morning we stoked up on supplies and had breakfast at the Munich train station before catching our train to Venice. 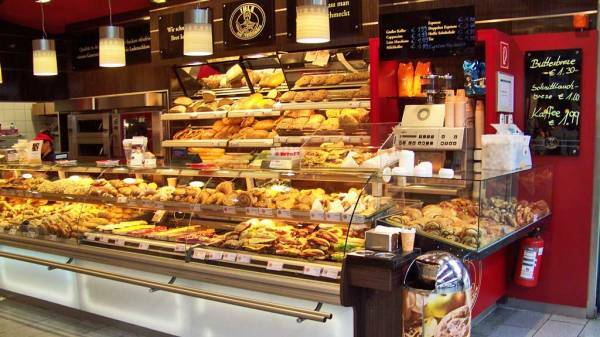 The Munich train station is amazing, with many sandwich shops, coffee shops, pastry shops, restaurants and even book stores. It was difficult to leave the convenience and atmosphere behind. 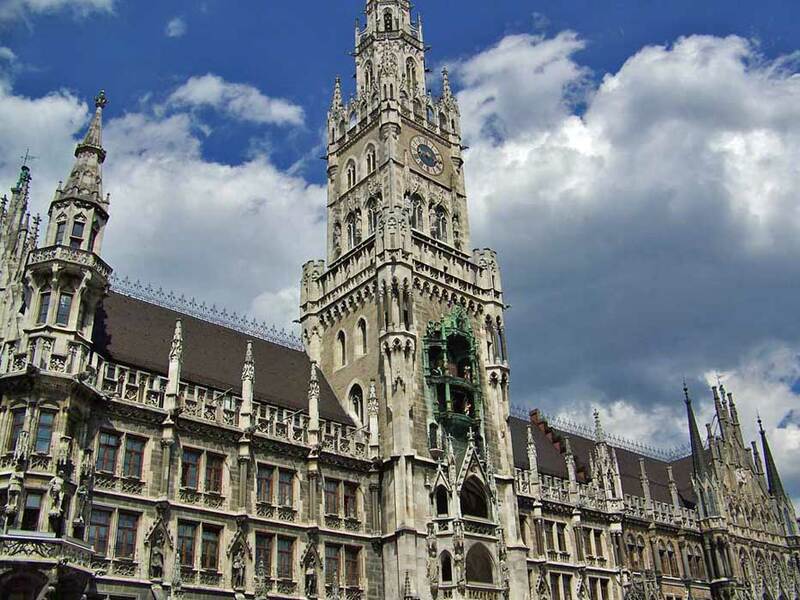 Our Munich Layover was over way to soon.